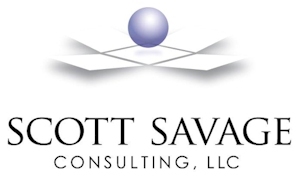 What is the focus of Scott Savage Consulting? A society where business, other organizations and the human beings who work in them achieve their parallel goals. A world in which joy is maximized and suffering is reduced by enhancing ourselves, our work and our workplaces. I help create this by supporting the growth of leaders, individuals, teams and organizations. To enhance organizations’ (business, nonprofit, government, education) productivity, profit or surplus, and individuals’ fulfillment and satisfaction through education, development, vision and conscious choice. To support individuals, teams, leaders and organizations to be clear about their choices, to increase the range of those choices, and to stand up for them with accountability. To utilize principles of change and growth in support of performance, learning and satisfaction in the workplace. To help organizations maximize their impacts, implement their values and differentiate themselves from others. To help individuals take the driver’s seat in their work and their lives. Most people want to do good. We want to use our talents in service of something. And we are imperfect, though we may wish to be perfect. We each have talents, and we lack in other areas. We may speak loudly, but listen poorly. Or, we may listen well but share little. We may have undiscovered talents, and may not appreciate those we have. Life and work are best when we find a place in a system which fits us. There can be a symbiotic relationship between the person and the system; each contributes to the others’ success. Be the first to comment on "–Vision and Mission"
–Why express personal gender pronouns in an email signature?